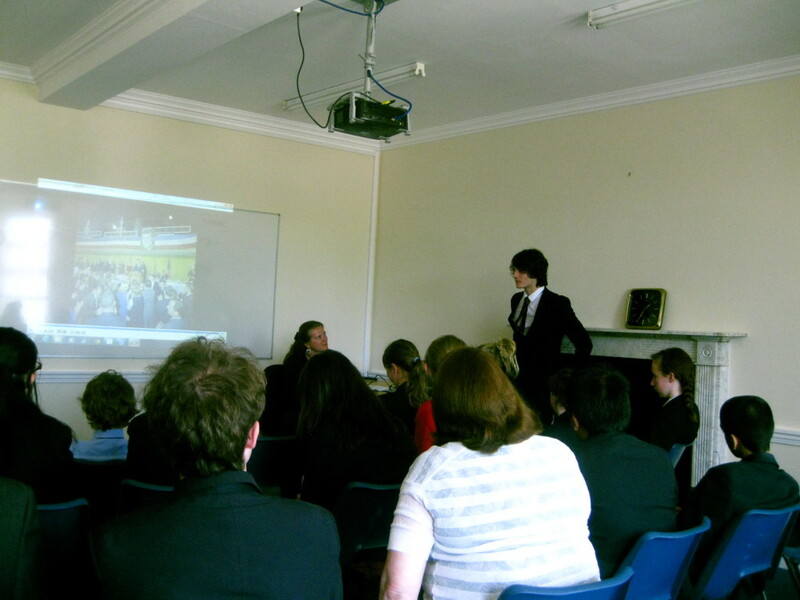 Recently I had the pleasure of speaking to a group of intelligent and committed young students at the Yarm School in northern England. My goddaughter is a student at the school and she asked me to speak about President Kennedy when I visited with her and her family on vacation. At first I was unsure about which topic to discuss. The age of the students at the lecture could range from 8 to 18. But even more importantly, these were youngsters from a different country and history. Yes, they would know the name John F. Kennedy. But my concern was that I would be speaking to them about a leader and a history that was not their own. Originally, I had thought of discussing the Cuban Missile Crisis since we had just passed the 50-year anniversary, but again doubts arose about whether this would be of interest to youngsters from England. So I decided that a better route would be to discuss a program of President Kennedy’s Administration that is still active today. A subject that is still timely. A program that still has great affect upon peoples of the world. I chose the Peace Corps. 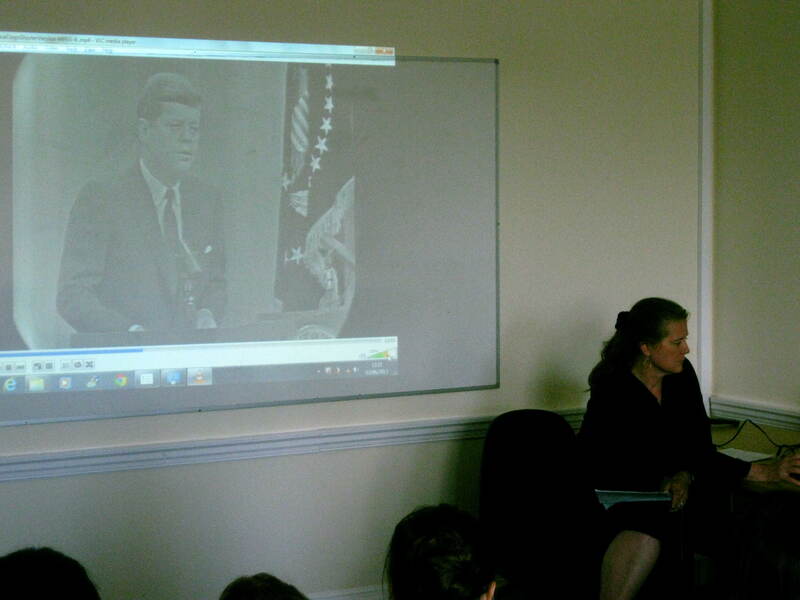 I spent a good amount of time reviewing speeches by President Kennedy on the Peace Corps and culling a list of addresses or public commentary that I thought most interesting and then sat down with one of our intrepid AV archivists Laurie Austin to review what kind of audio and/or visual materials we had, if any, on the speeches listed. We were able to pull together a great group of 1960 campaign speeches, presidential addresses, and press conference remarks on the Peace Corps. Laurie created a DVD video. So with video in hand, paperwork on each speech, and background on the political and social decision-making behind the creation of the Peace Corps, I traveled to England. On Monday, June 3rd, I arrived at the Yarm School. 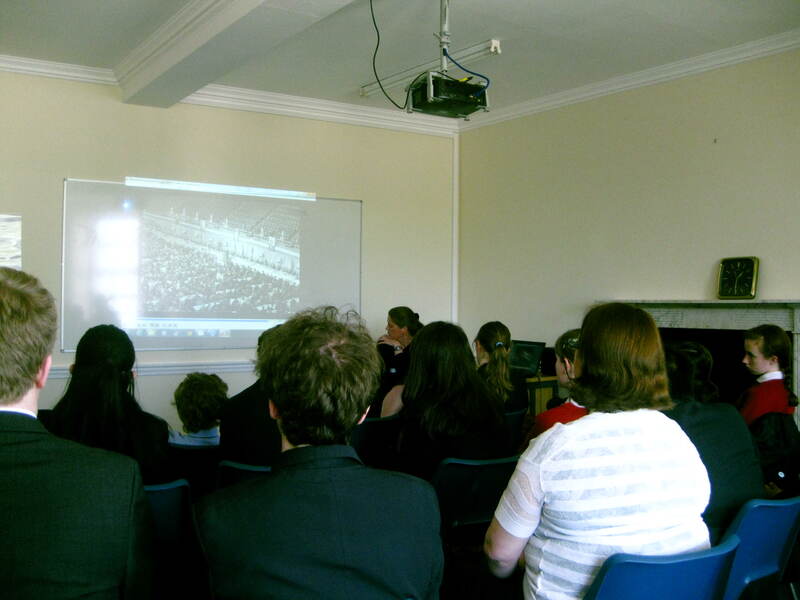 The group for the luncheon lecture included approximately 40 students. Attendance was voluntary. The age of the attendees was from 11 to 18. To be honest, I was just hoping that I would maybe interest a student or two. My fears were totally unfounded. I began by providing a context on the Cold War – how this idea of a peace corps of civilian men and women had both political and social aspects that could not be separated from one another. The decision to create this “army” of Peace Corps volunteers was based both on politics and on philanthropy. The first speech played was from the University of Michigan on October 14, 1960. Candidate Kennedy was very late arriving and at 2AM found himself in a crowd of about 10,000 students. Speaking extemporaneously, John Kennedy asked them, “How many of you, who are going to be doctors, are willing to spend your days in Ghana? Technicians or engineers, how many of you are willing to work in the Foreign Service and spend your lives traveling around the world?” The Kennedy Administration idea of a Peace Corps had begun. The next clip was from a few weeks later on November 2, 1960, just before the election, at the Cow Palace in San Francisco, when John Kennedy proposed “a peace corps of talented men and women” who would dedicate themselves to the progress and peace of developing countries. This piece had no audio, just video, but the students were extremely attentive as I read from portions of the speech and they watched a video of a huge crowd at the Cow Palace in what to them must have seemed like ancient history. The rest of the video played on with press conference remarks, President Kennedy greeting Peace Corps volunteers at the White House before they headed off to their assigned countries, and other commentary on the Peace Corps. As I watched the students’ faces during the video they seemed enthralled and genuinely interested; however, when the lecture ended, I expected a sort of quick exit of the students. But they stayed. Several had questions that were beyond the scope of what I was expecting from young, non-American students on an American president who died a half century ago. The most amazing question was from a young girl who asked whether “the funding for the Peace Corps to a specific country diminished the overall aid package to that country, or was there supplemental funding for the Peace Corps so that the aid already assigned to programs would not change?” – a sophisticated and multifaceted question, even more so when you realize that the student was just eleven years old. There were other contemplative questions from students of all ages. Why were Tanganyika and Ghana the first countries chosen? Why wasn’t it made an independent agency immediately? A Sixth Form or senior-year student asked if I could send him some materials once I returned; he is putting together a website on American presidents. 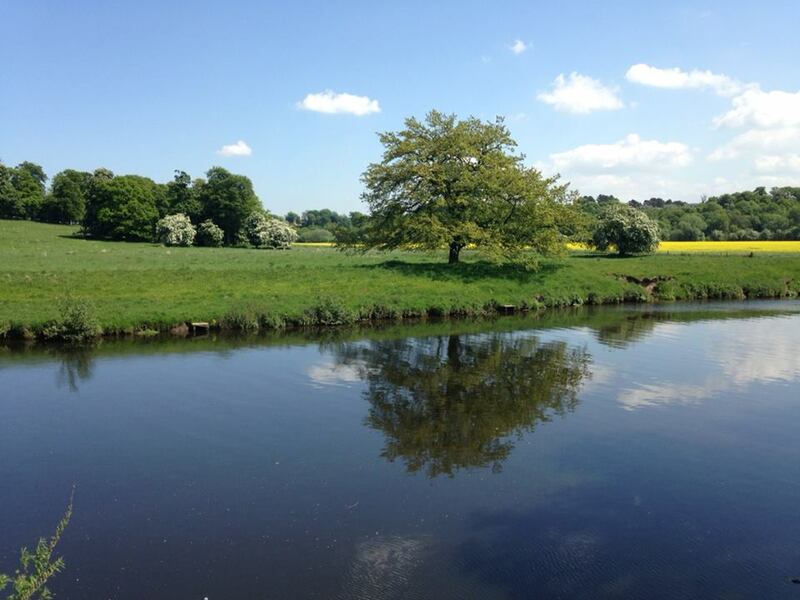 The Yarm School has a beautiful campus on the River Tees. It is a major educational success story in the North East. Almost all of their pupils go on to degree courses at university, including significant numbers to Oxford and Cambridge. After visiting I realized I could have discussed any topic from the Kennedy years and the student body would have been knowledgeable and interested. They were an amazing group. Today has been a typical sort of a day in the Attic. Busy! Yes! You would expect classes and teaching but what else have we been up to? Continuity! A theme sustained inspirationally in the weekly lunch time lecture series, organised by Jacob Hodgson Stokes, who takes over this baton from Adam Stockley, who took over the baton from our “founder,” Will Toher. 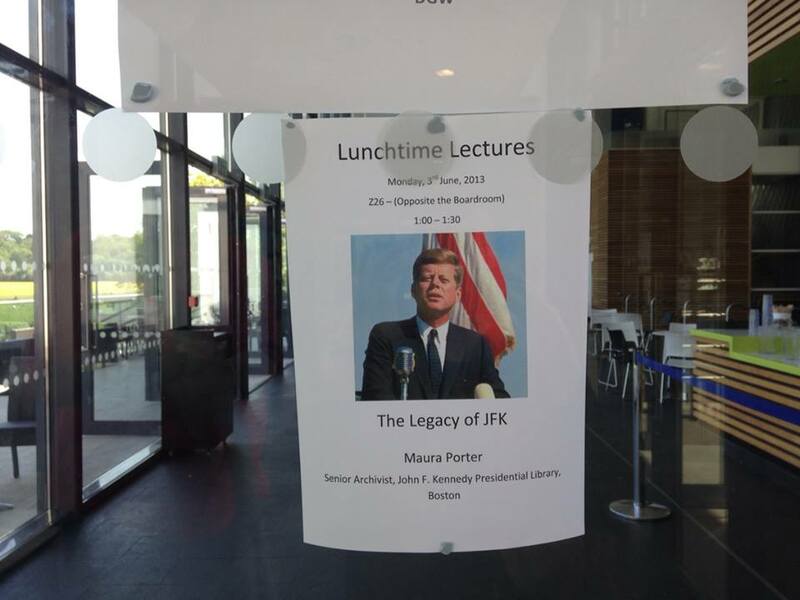 This week it was held today (usual slot: Wednesday) to accommodate a visitor from Boston: Maura Porter, a Senior Archivist at the John F. Kennedy Presidential Library Service! Contemplating the legacy of JFK through the work of the Peace Corps, Maura reinforced the ideas of active service in communities, irrespective of political dissension, a theme of our inaugural Think Global School “International Volunteers” Day. I think President Kennedy would be proud to know that the Peace Corps, an idea germinated over 50 years ago in the context of the Cold War, would excite youngsters in a school in Northern England as they contemplate active service in communities. To me, that is quite a legacy, indeed.